Talk about a show stopper! Laci is a gorgeous 4 month old pug. She loves spending time with her mommy and playing with all her doggie pals. Laci ... you are so beautiful! I have the cutest;chubby little pug doggie! Sorry I don't have a pic of her now to put on here. Will later. Her name is Cleopatra; named by my son,Raymond. We all call her Cleo for short! She is my companion; and makes great company for me in my old age of 72. 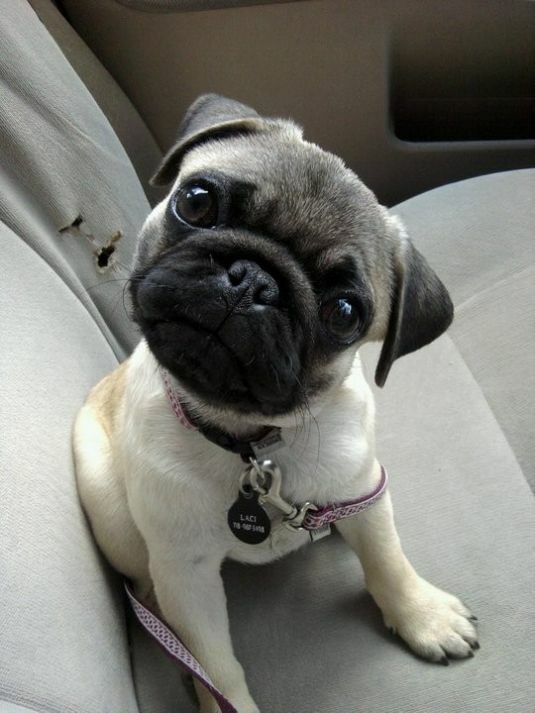 Please; in the future; show pics of Pug doggies! Too!